The following table compares the main financial statements of a nonprofit organization with those of a for-profit corporation. Since a nonprofit organization does not have owners, the third section of the statement of financial position is known as net assets (instead of owner's equity or stockholders' equity). The items that cause the changes in Net Assets are reported on the nonprofit's statement of activities (to be discussed later). These classifications are based on the restrictions made by the donors at the time of their contributions. If the nonprofit's board of directors designates some of the nonprofit's unrestricted assets for a specific purpose, those assets must continue to be reported as net assets without donor restrictions. Since a nonprofit's primary purpose is to provide programs that meet certain societal needs, it issues a statement of activities (instead of the income statement that is issued by a for-profit business). * Actually will include revenues, gains, other support, and releases from donor restrictions. Before we illustrate a sample statement of activities, let's take a closer look at its components. Under the accrual method of accounting, revenues are reported in the accounting period in which they are earned. In other words, revenues might be earned in an accounting period that is different from the period in which the cash is received. Program expenses (or program services expenses) are the amounts directly incurred by the nonprofit in carrying out its programs. For instance, if a nonprofit has three main programs, then each of the three programs will be listed along with each program's expenses. In order to accurately report the amount in each of these subgroups, it may be necessary to allocate some management and general salaries to fundraising based on the time spent by employees performing fundraising activities. For example, a management employee might be spending 30% of her time in fundraising activities but her entire salary has been recorded as management and general expenses. Under the accrual method of accounting, expenses are to be reported in the accounting period in which they best match the related revenues. If that is not clear, then the expenses should be reported in the period in which they are used up. If there is uncertainty as to when an expense is matched or is used up, the amount spent should be reported as an expense in the current period. A nonprofit's transactions are recorded in accounts in the general ledger. A listing of the titles of the general ledger accounts is known as the chart of accounts. The number of accounts in a nonprofit's general ledger could range from 30 to 1,000 or more. The number of accounts depends on the number of programs that the nonprofit has, the types of revenues it earns, and the level of detail required for planning and control of the organization. For example, a nonprofit is likely to have a separate general ledger account for each of its bank accounts. It may also have 50 general ledger accounts for each of its major programs, plus many accounts under its fundraising and management and general expense categories. The detail in the general ledger accounts will always be available for management's use. 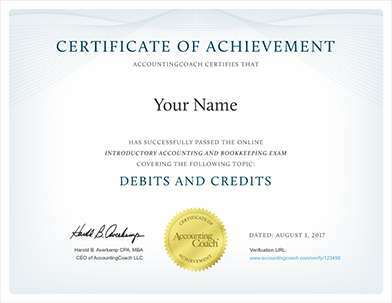 However, all of the account balances will be summarized into a few totals that are presented in the financial statements and IRS Form 990. Nonprofit recordkeeping can get a bit challenging, so it is worth noting that accounting software exists to help nonprofits record transactions efficiently. The accounting software will also allow for reports of revenues and expenses by function (programs, fundraising, management and general), by the nature or type of expense (salaries, electricity, rent, depreciation, etc. ), and/or by grant.